So much more than keeping the lights on. Middle River Power is a private equity sponsored investment and asset management platform focused on US power generation assets. Our team consists of power industry veterans with deep experience in the acquisition, development, operations, management, financing, and economic optimization of energy assets. Our rigorous investment evaluation process analyzes regulatory changes, localized generation congestion, utility resource plans, fuel fundamentals, and transmission constraints. Assets owned or in development include over ~2,000 MW of natural gas, coal, geothermal and solar power generation facilities in California, Maryland, Virginia, and West Virginia. We pride ourselves in having an operations-centric management team that takes an active, hands-on approach. Our executive team has spent decades working at and managing generation facilities across the world. We partner closely with plant personnel and bring strong relationships with experienced industry contractors and consultants to ensure safe, reliable, and efficient operations. Middle River Power has a sustainable and flexible capital base through multiple private equity sponsors. Our investors look for opportunities in firms undergoing transition, whether through change-of-control, restructuring, or refinancing and have the flexibility to invest across the capital structure through equity, preferred stock, bonds, mezzanine, or senior debt. Our sponsors have built a successful track record in energy investments over the past two decades. The energy fund strategy targets long-term capital appreciation through the development, acquisition, and active management of power-generation assets. We pride ourselves in rolling up our sleeves and working together to get things done. The Middle River Power Team has more than 120 years of combined experience in energy management. We have developed strong relationships with experienced industry contractors and consultants, including NAES, Tenaska Power Services, EDF Trading North America, Sequent, Siemens, and PW Power Systems. MRP currently has over 2,000 MW of power generation assets in operation or development. High Desert is an 830 MW natural gas-fired combined cycle plant in San Bernardino County, CA. High Desert commenced commercial operations in April 2003 and employs Siemens Westinghouse 501F combustion turbine generators and a Toshiba steam turbine generator. Big Sandy is a natural gas-fired simple cycle plant located in Kenova, West Virginia. The plant commenced commercial operation in June 2001 and has a nominal capacity of 300 MW and nominal base load heat rate of 10,525 BTU / kWh. Wolf Hills is a natural gas-fired simple cycle plant located in Bristol, Virginia. The plant commenced commercial operation in May 2001 and has a nominal capacity of 250 MW and nominal base load heat rate of 10,650 BTU / kWh. 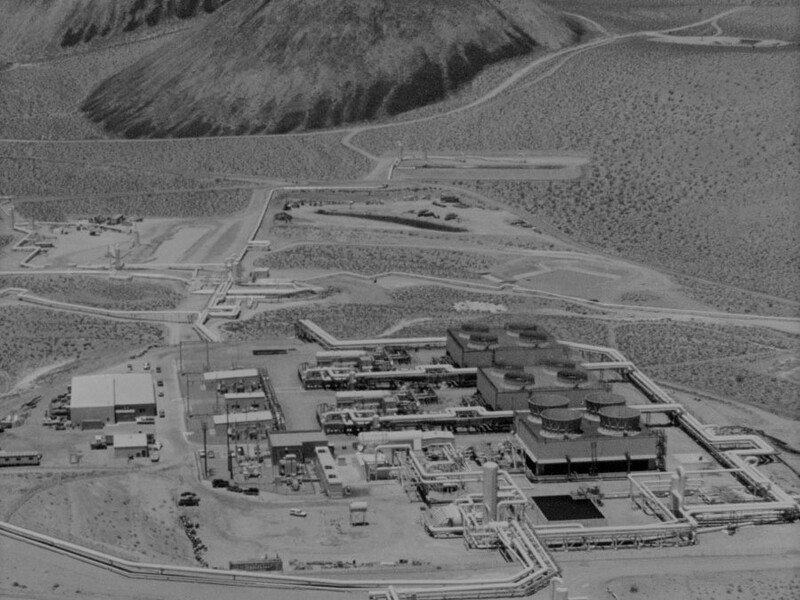 Coso Geothermal (“Coso”) is located in the eastern portion of central California, on the military-owned Naval Air Weapons Station at China Lake. Coso has been producing geothermal power continuously since 1987. The plant consists of four geothermal power stations that have a total of nine - 30 MW turbine-generator sets for an overall rated capacity of 270 MW with over a 98% availability factor. Coso has a Power Purchase Agreement with Southern California Edison which will allow Navy I, Navy II, and BLM to receive a firm energy price through January 2030 and has recently completed an agreement that would permit Coso’s energy and renewable energy credits to be available for sale in 2019. Tracy is a 330MW natural gas-fired combined cycle facility located in Tracy, California, approximately 40 miles east of the Bay Area. Originally built in 2003, the project was converted from simple cycle operation to its current 2x1 combined cycle configuration, with two GE 7EA turbines and an Alstom steam turbine, in 2012. The plant’s capacity and energy output is fully contracted to PG&E through late 2022. Hanford is a 97MW natural gas-fired simple cycle peaking facility located in Hanford, California. The facility was brought online in 2001 and utilizes two GE LM6000 turbines. The plant’s capacity and energy output is fully contracted to PG&E through 2022. Henrietta is a 96MW natural gas-fired simple cycle peaking facility located in Lemoore, California. The facility was brought online in 2002 and utilizes two GE LM6000 turbines. The plant’s capacity and energy output is fully contracted to PG&E through 2022. CP Crane was a 400 MW coal facility located outside of Baltimore, Maryland. Located within the SWMAAC region of PJM, the plant consisted of two coal units totaling 385 MW and a 14 MW oil-fired CT peaking unit. Originally a coal facility and retired as of June 2018, CP Crane will be a 160 MW dual fuel peaking facility. The dual fuel (natural gas / ULSD) capability enables reliable energy and capacity to be delivered to the constrained BGE LDA. The project will also participate in the PJM ancillary services markets. Click here for Notice of Public Comment Hearing. Preliminary layout; subject to change. High Desert Solar is a 108 MWac project to be permitted and built in one phase on approximately 670 acres of desert land located in San Bernardino County, California. High Desert Solar will procure from CAISO interconnection capacity from nearby our High Desert Power Project combined cycle plant, which can offer low cost, long-term operations and maintenance service to High Desert Solar. The project site offers strong solar resource potential, as well as advantageous geological and environmental / biological conditions. CASE NO. 9482 - NOTICE OF PUBLIC HEARING & OPPORTUNITY FOR PUBLIC COMMENT - A hearing is scheduled for Monday, April 1, 2019, at 7:00 p.m., concerning CP Crane’s application for a certificate of public convenience and necessity authorizing the modification of the Charles P. Crane Generating Station in Baltimore County, Maryland. The hearing will take place at the Bowleys Quarters Improvement Association located at 1124 Bowleys Quarters Road, Baltimore, MD 21220. Persons who wish to file written comments are directed to address such comments to Terry J. Romine, Executive Secretary, Maryland Public Service Commission, 6 St. Paul Street, 16th Floor, Baltimore, Maryland 21202 and reference “Case No. 9482.” Comments may be filed until April 4, 2019.